Home > Blog > Spring… and it’s carnival season all over France! 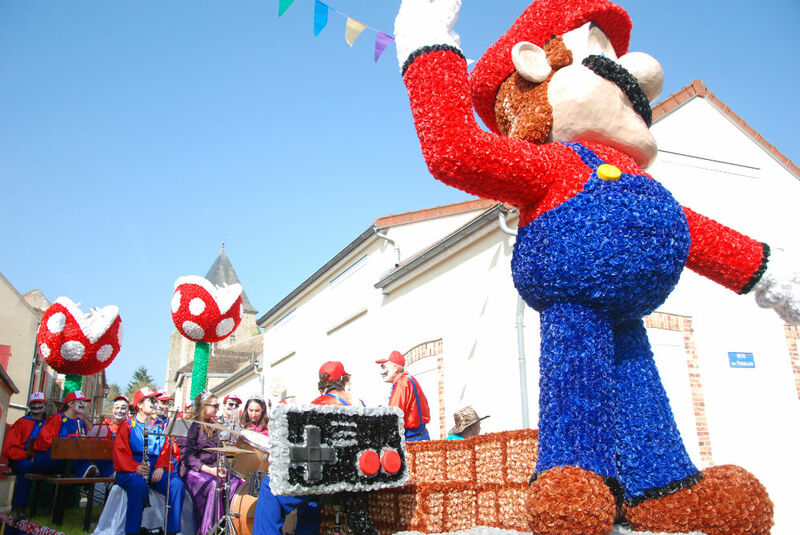 France has sprung in to life after the long winter months and is ready to carnival! 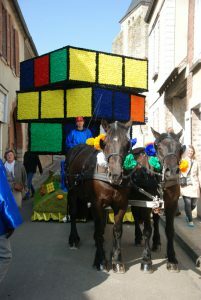 Spring is carnival season and celebrations seem to pop up in every other village between now and mid-May. 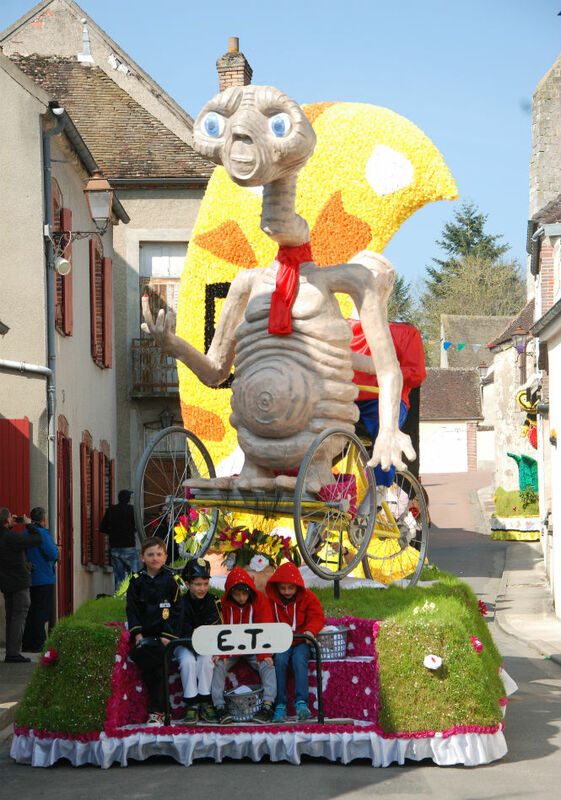 With 32,500 villages in France, that’s a lot of carnivals to visit! 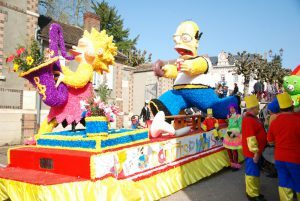 We often talk about the huge number of community events that take place in France, which is what makes visiting small villages and towns so special if you happen upon one of them. From carnivals to whole-village clearouts, known as vide greniers (“empty-attic”), to events celebrating music, garlic or particular flowers, there is something for everyone to enjoy. Last weekend, Iva, our customer service manager, visited Sergines in northern Burgundy, 30 minutes’ drive from our depot, which was enjoying a 1980s-themed carnival. As you can see it was a gorgeous spring day and a huge crowd was there to enjoy the parade of carnival floats, listen to the live music (there were 200 musicians), eat barbecued sausages and drink local beer. 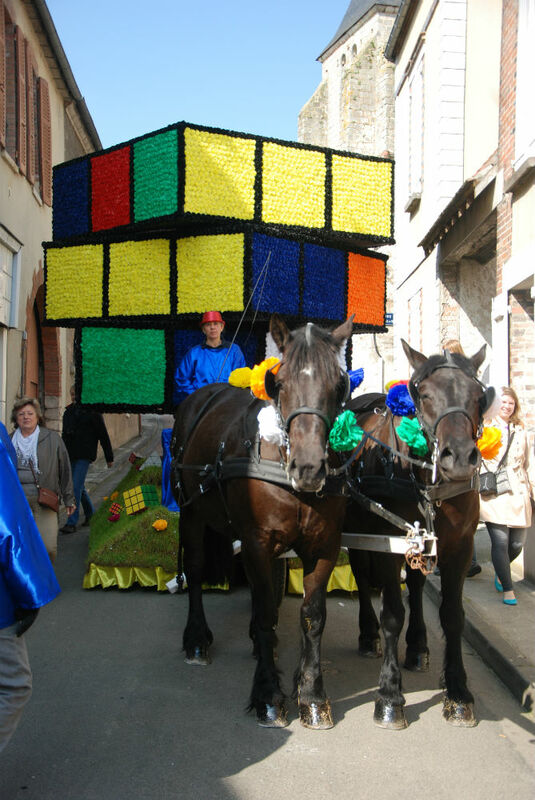 Our favourite float was the Rubik’s Cube – very 80’s! If you’re touring France in a motorhome or campervan anytime soon, you are bound to bump into a carnival. Be sure to stop and join in the fun. It’s a chance to get under the skin of a place and will give you memories you’ll never forget. Visit the local tourist board of the area you are visiting to discover if a carnival is coming.